This is a game changer. Thank you so much for sharing!! Nice! That opens up a lot of possibilities, I bet! how do you deal with the brush between layers? Wash it out with soap and water, which takes about 15 seconds. The polycrylic is water-based, not oil-based, so clean-up is easy. sweet! i'll have to add that to the list of things i want to buy at home depot. I'm wondering how colored paper or paper with prints will react to this coating... Will it change the color? I put some on a test piece of patterned wrapping paper, and it didn't change the color, though the sheet did wrinkle very slightly from the moisture. My friend makes origami jewellery - tiny flowers, turtles, stars, birds, whatever, threaded with beads into necklaces and earrings. She does just use clear nail varnish to coat the models. Seems to work okay on such a small scale. Good to know! The clear polish I tried was really cheap, and I only put on one coat, so there might be better ways of doing it. Nifty idea! I love it! Nice! I have an origami Christmas ornament that a friend made for me and I'm always worried about it because it is so fragile! I will definitely try this! I have tried lots of different glazes and my favorites are; Accent Water Based Crystal Clear Glaze and Liquitex Medium & Varnish, in matte satin or gloss. Accent gives a high gloss, levels well and you can get away with just one coat. Liquitex can be diluted easily with water or you can add tints and/or iridescent medium. Both dry flexible. I have not had good experience with; Anita's, Beacon, Right On, Right Step, or Save a Puzzle. Of course your mileage may vary. Depending upon the paper and the glaze, it can make it wrinkle, unfold, look (and stay) transparent, or make the ink bleed. My suggestion would be to try a sample before using it on really nice paper or a model that has taken you a long time to fold! Another approach is to paint the paper with the Liquitex varnish first as a primer, let it dry first, paint the other side, let that dry, and then fold it. Once it is folded, you can paint it again with something that has more body and it is less likely to unfold. You can put more glaze on it after it has been primed/folded and it may/may not glue the layers together. I have used a close-pin to hold the model together as it dries. My mom gave me a "Teflon" plastic sheet from a fabric store that works well as a non-stick surface. Wish that I could find more! Another trick is to use masking or painters tape and tape the paper to a glass tabletop before you paint it to keep it from wrinkling or rolling, then peel it up after it's dry. This works better with water based paints. Again, test it before you ruin your table or your paper. Leyla, I haven't seen that version of wreath before. Neat! PaperShaper, thank you, thank you for your tips and suggestions—fantastic! I wonder if spray shellac would work well, probably easier to apply than painting. Good idea! Oh man! You're the best! great idea, I'm picking some of this stuff up. Wonderful blog as well. So organized and pretty! It's like you're a designer or something! On my paper jewelry I brush on a product called Triple Thick. It dries clear as well. I never have to use more than one coat. Is it this stuff? Sounds great! Thanks for the tip! have you heard of "Triple Thick"? It's a product that I buy at Michaels and Hobby Lobby that does the same thing- it comes in small, med and large bottles, cleand with water and is awesome- does just what you are looking for- shiny and hard. I make paper charms and use Triple Thick for the final coat- usually 2 coats. That settles it: I need to try it. Another commenter mentioned it, too. Fewer coats sounds great! Thanks! Thank you!!! 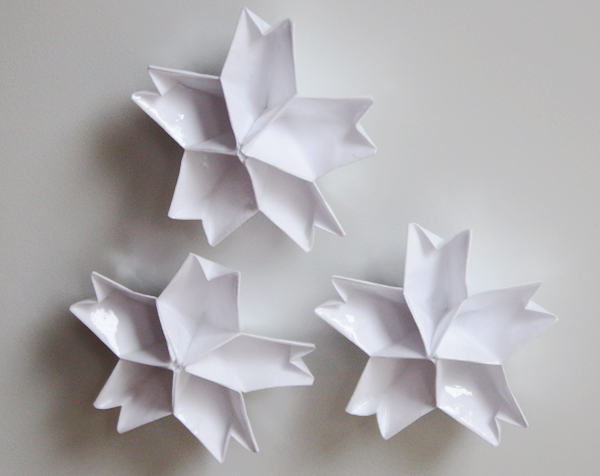 I've been using a glaze for my origami for years that's ok, but not great. I'm totally going to try this one because I don't like the brush strokes I get with the other kind. So helpful! Oh, and if I'm worried about colors on the paper bleeding, I brush on a coat of Mod Podge first. Thank you so much for this great tip! Totally filing this away under "must do". Does anyone know where I can find Polycrylic coating in France ? 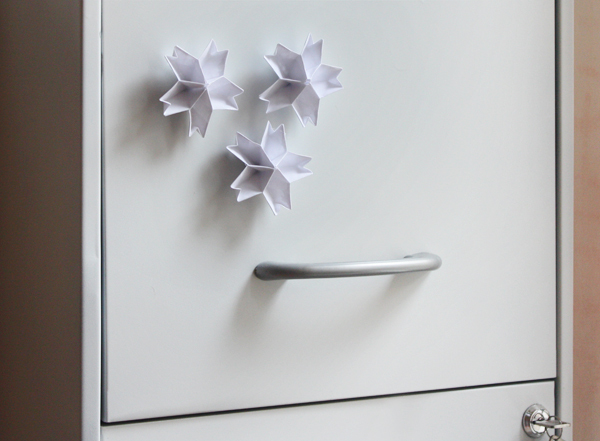 Did you use origami paper for this project or just printer paper? 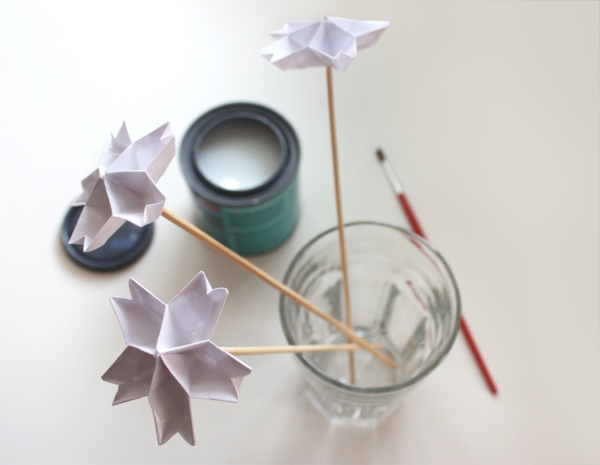 A cheap way to do this is 50% white glue and 50% water. Put in a contain and mix. It's a really cheap way of stiffening/coating. Also, there is a good product called Paverpol (find online or at sculpture supply) that's amazing on any natural fiber. Turns it rock hard and doesn't change surface too much. I am in the process of folding 1,000 paper cranes for an outdoor sculpture and am looking for something to either dip the strands of paper cranes in (there will be 25 strands of 40) or spray them. I will try spraying polycrylic and also try Paverpol. If anyone has other suggestions, I would greatly appreciate them. I'll be sure to share my findings as well. 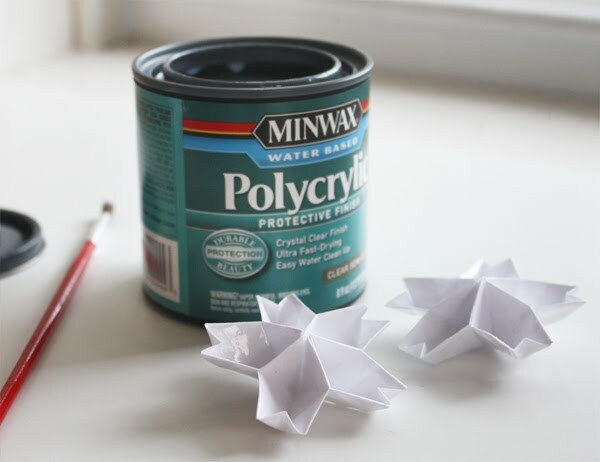 Can you paint after using the Minwax Polycrylic? I was looking for find a way to coat card stock cut outs to use for stencils...I'm going to give this a try! Thanks! Has anyone tried this on cardboard, like to make it sturdy enough for a table? Will the Minwax give a finish similar to Mod Podge? 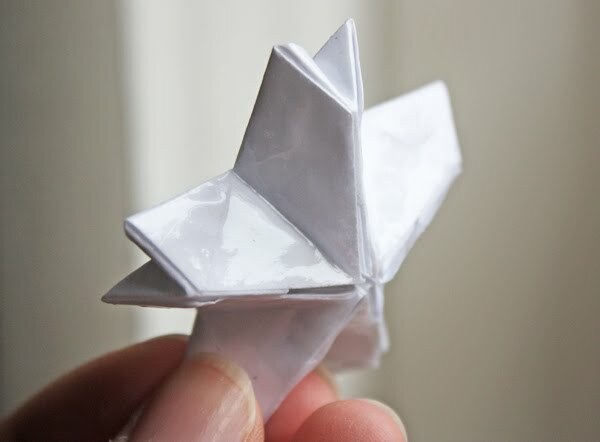 I've tried Mod Podge on my origami and found that even after several coats and drying for a week, the finish felt a little weak and sticky. I'm looking for something a little harder and less likely to peel or smudge at the touch of a warm fingerprint. Otherwise I might have to try varnish. It's been several years since I've used this stuff on paper, but I remember it being satisfactorily hard, smooth, and not sticky.